If you plan to buy the amazing Google Pixel 3 smartphone, then you had better look into protecting it. The screen and the glass back, which enables Qi wireless charging to work, are breakable, so it’s a smart move to safeguard them. We’ve been testing out the available options, and these are the best Pixel 3 cases you can buy. 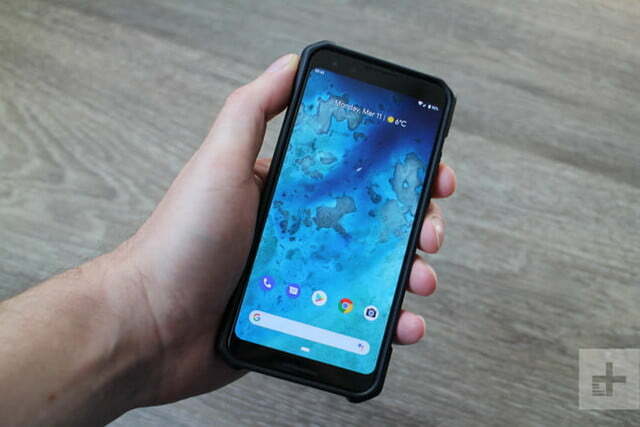 You may also be interested in preserving the display with one of the best Pixel 3 screen protectors. 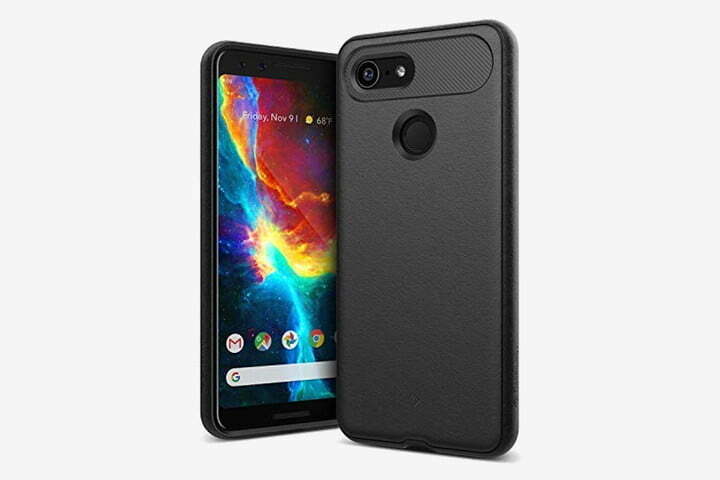 These are the top three cases we’ve been using most often with our Pixel 3 and they each have something unique to recommend them. We have a number of alternative options worth considering if these don’t tempt you. 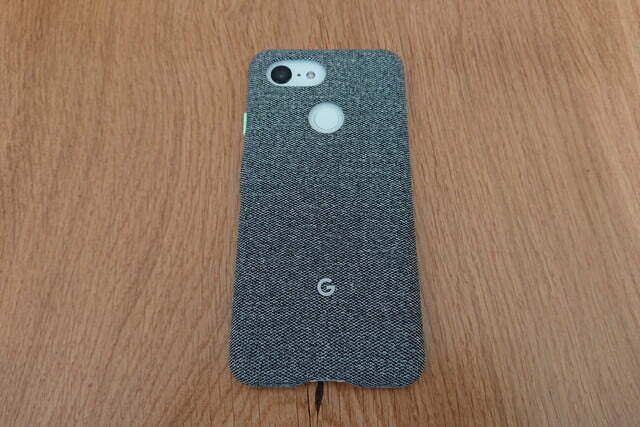 The official fabric case from Google is the one we’ve been using the most with our Pixel 3. Not surprisingly, it’s a perfect fit, with generous openings for easy access to the fingerprint sensor and USB-C port. In fact, there’s a gap above the USB-C port that makes it easy to swipe up from the bottom and use Android 9.0 Pie’s new navigation shortcuts. It doesn’t interfere with that stunning camera or the wireless charging either. 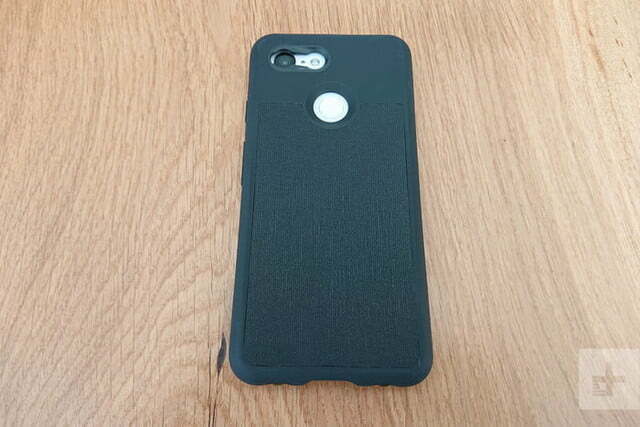 The case features a plastic shell that’s slightly flexible, wrapped in a durable, gray fabric with soft, mint green padding on the inside. 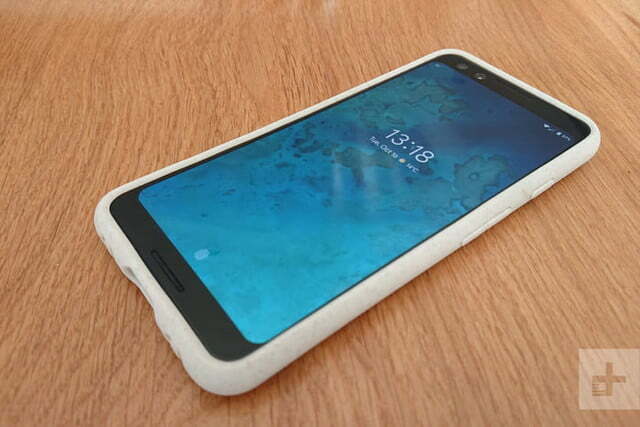 The power button cover is mint green to match the white Pixel 3, and there are blue, black, and pink versions of this case as well. The volume rocker protrudes a little, but it’s camouflaged by the finish. 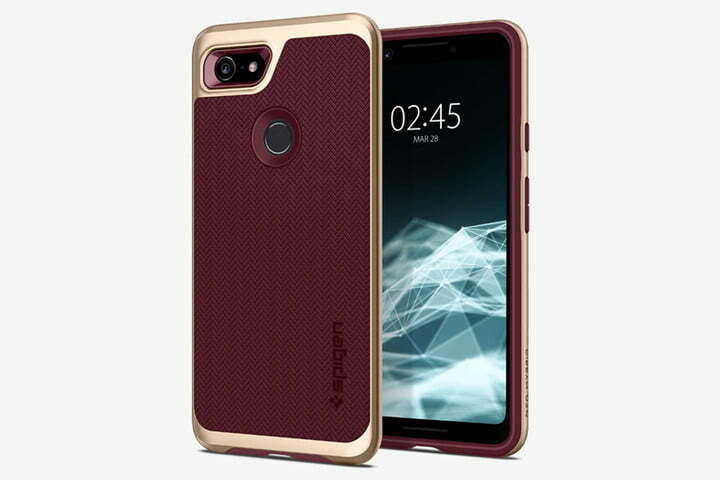 The case is almost flush with the screen at the front and it’s slim, so we wouldn’t expect much drop protection from this case, but it will ward off scrapes, it’s very comfortable to hold, and it definitely enhances your grip. If we’re headed into the great outdoors or doing something active, then this is our go-to case for drop protection. This one-piece case mixes materials with a flexible rubber bumper with reinforced corners that’s enhanced with a polycarbonate back plate and a lightweight metal alloy. Full-grain leather panels on the back add some style. The power button is textured, the volume controls are well-defined, and the cutouts are accurate. There’s plenty of room to get at the charging port and fingerprint sensor. A protective lip extends out around the screen. This case definitely adds some bulk, particularly on the back and corners, but that’s the price of solid drop protection and it doesn’t interfere with wireless charging. It’s a nice case to hold — it’s lighter than it looks — and there’s a honeycomb pattern on the sides that enhances grip. It comes in red and black or just plain black. 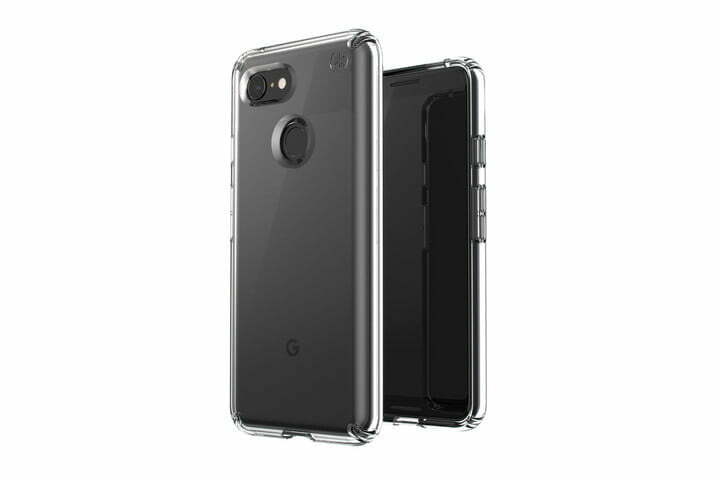 With photography specialists in mind, Moment makes protective cases for the Pixel 3 that look stylish and also support Moment’s lens range, which includes Wide, Tele Portrait, and Superfish lenses that start at $90. 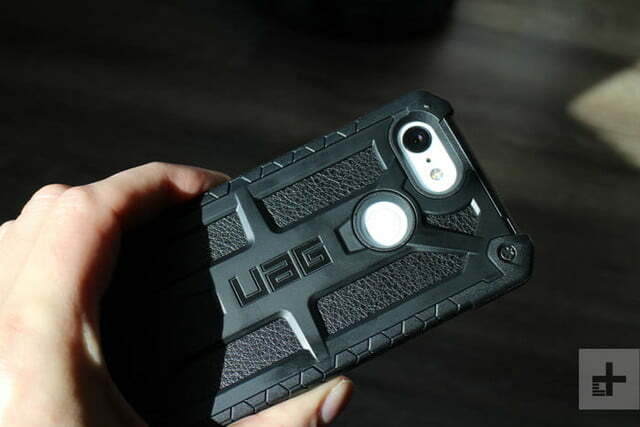 The shell is made of tough, fairly thick plastic with well-defined button covers and precise openings. There’s plenty of room around the USB-C port and a sloping cutout for the fingerprint sensor. The surround of the camera lens has a special locking system that makes it easy to clip on extra lenses, but these cases can be used without them and still look good. 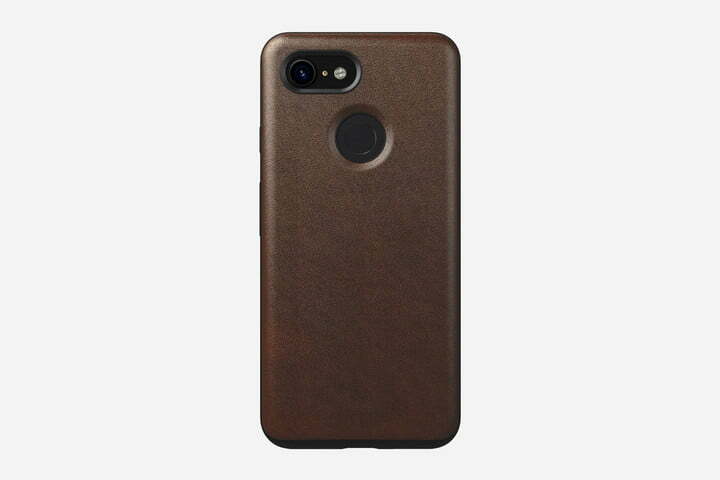 Our pick is the one with the flecked cream finish with the tan leather, but there’s a black case with a canvas panel on the back, as well as a black case with a walnut panel. With microfiber on the inside and a raised lip around the screen, we think this case should offer decent drop protection. 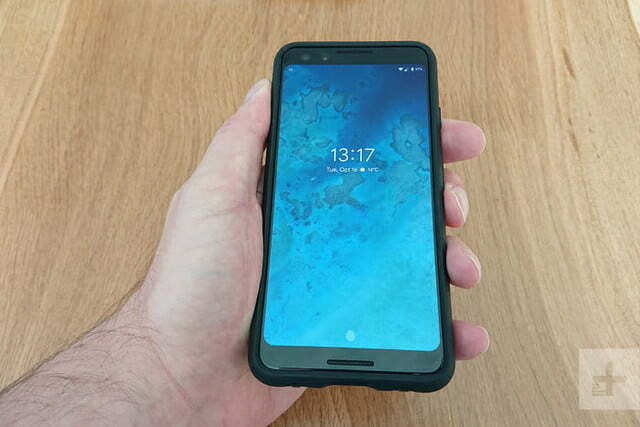 If you’re a fan of the Pixel 3’s look and you don’t want to cover it entirely, then you might fancy this translucent offering from Incipio. 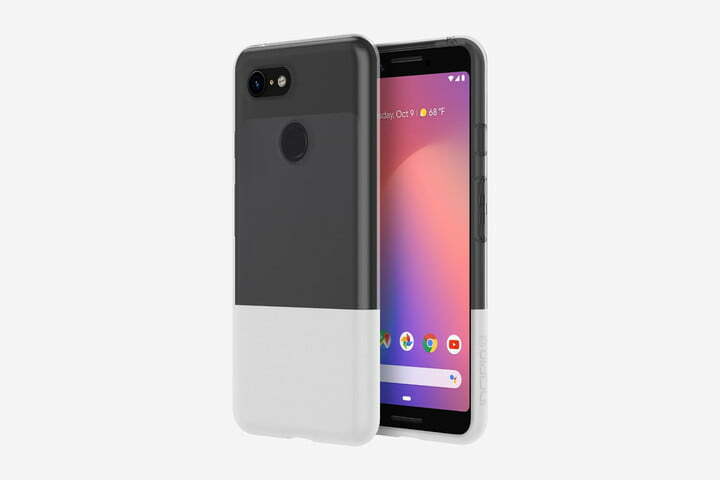 Crafted from its proprietary Flex2O material, this is a lightweight but highly durable case for the Pixel 3. The bottom portion of the case echoes the Pixel’s two-tone finish to add a touch of style, but it’s a fairly plain offering with accurate openings, button covers, raised bezels to protect the screen, and a subtle Incipio logo on the side. It offers protection against scratches and drops from up to 3 feet. 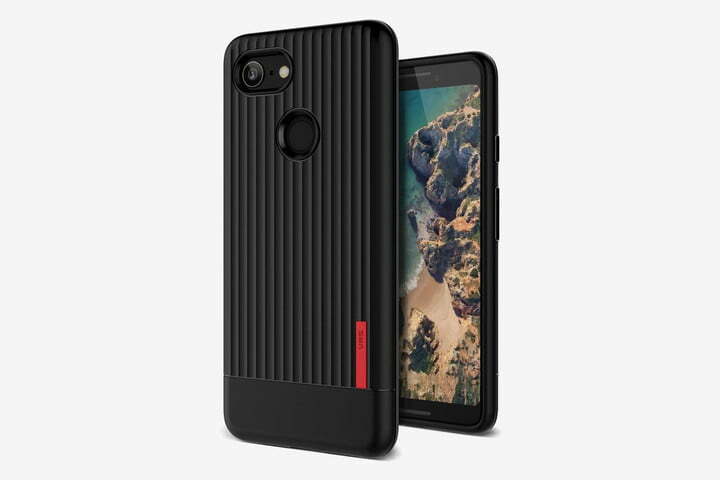 This case from Speck strikes a nice balance between protection and the desire to show off your Pixel 3’s style. 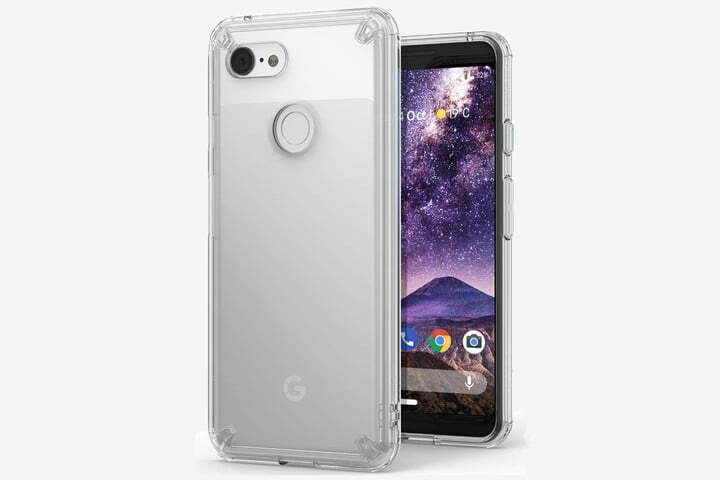 It’s a completely clear case with an anti-yellowing coating and it promises to protect your Pixel 3 from drops of up to 8 feet. 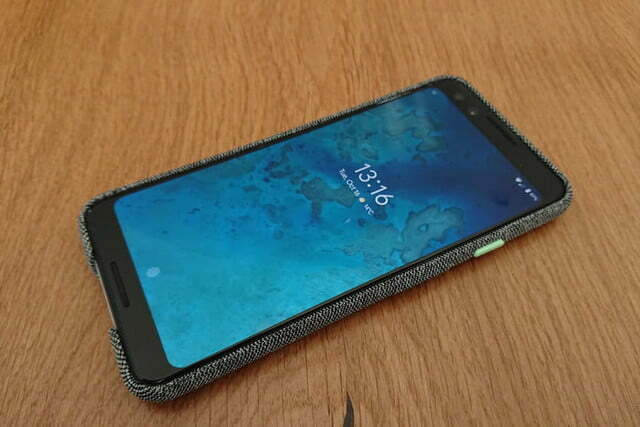 The bumper section is reinforced with a dual-layer shock-absorbing barrier, and there’s a raised bezel all the way around the screen to ensure it never touches down. It’s quite a chunky case that definitely adds some bulk, but it’s comfortable to hold and highly protective. There are no issues with the generous openings, and it won’t interfere with wireless charging either. 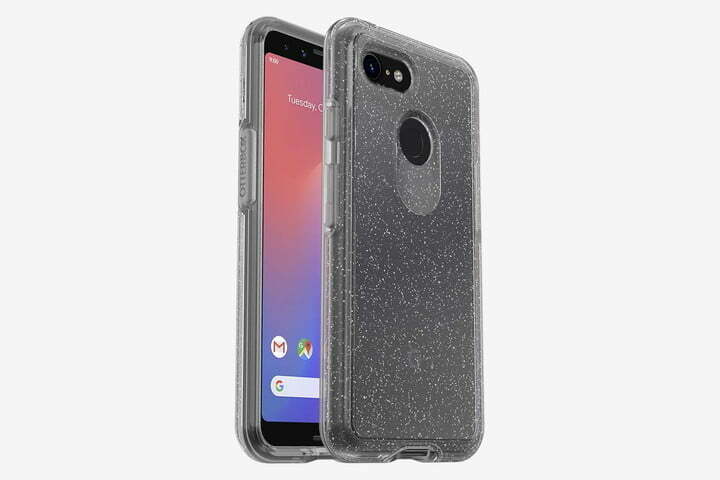 This isn’t quite as tough as Otterbox’s Defender Series cases, but it’s also less bulky, and will still guard your Pixel 3 against drop damage. There’s a rounded bumper that extends front and back to take the sting out of any impact. The openings are generous, the button covers are solid, and wireless charging works just fine with this case on. This Stardust version has sparkly silver flake embedded in the clear cover, but Otterbox does offer plain color combinations as well. This slim, light case has an understated style and offers basic protection against bumps and falls. It’s a typical TPU shell, but it is lightly textured all over to aid your grip and reduce the chances of drops happening in the first place. The button covers are well-defined, the cutouts are accurate, and it has a raised lip around the screen. A panel of diagonal lines breaks up the simple finish and adds a little touch of style, but this is a pretty utilitarian case. We’re big fans of Nomad’s Horween leather cases and they age beautifully, developing their own patina over time. 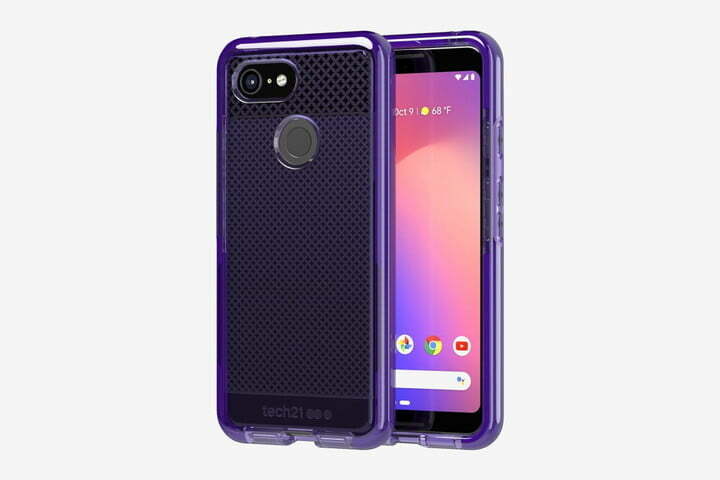 But don’t be fooled into thinking that these Pixel 3 cases are all style and no substance because there’s a tough polycarbonate shell inside, with a TPE bumper that can cope with falls of up to 6 feet. There’s plenty of room around the cutouts, and you’ll find subtle button covers for the power and volume rocker. The case also extends a little at the front to protect the screen. Wireless charging works just fine with this case on. 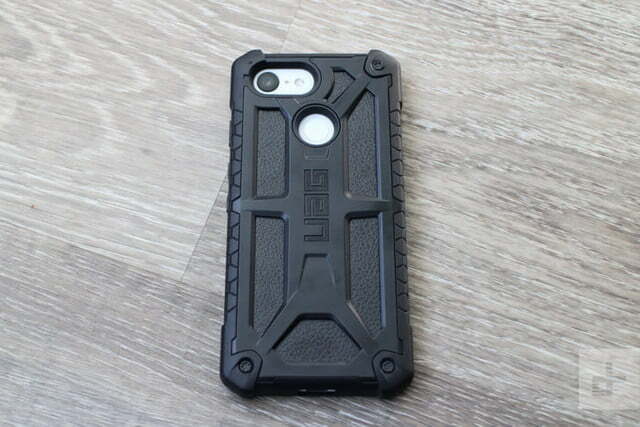 If you tend to fumble your phones a lot, then this highly protective case from Tech21 is for you. 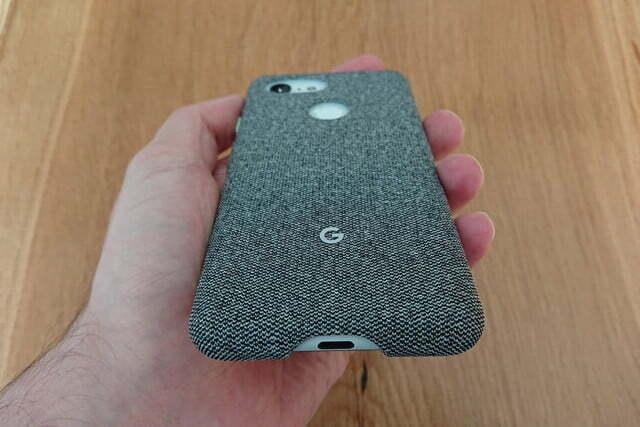 When your Pixel 3 is wearing this case, you can drop it with impunity, because it will safeguard your phone from falls of up to 12 feet (not that you’d actually want to). Tech21 imbues the flexible bumper with its special FlexShock material, which will prevent any impact shock from penetrating. It’s a little chunky, but you’ll find good-sized openings and tactile button covers that are easy to find. Our pick is the eye-catching ultraviolet version, but you can opt for a more reserved smokey black if you prefer. Each is translucent, with a special check pattern on the back panel. Here’s a relatively tough case that combines malleable TPU with a hard polycarbonate frame for solid protection from knocks and falls. The matte, textured finish on the back enhances grip and won’t pick up grubby fingerprints. There’s also an extended lip around the screen to prevent it from touching down on any surface. 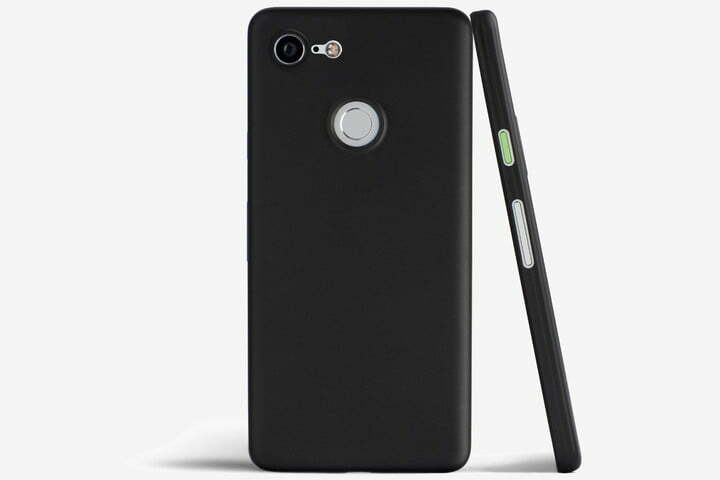 Tapered openings for the fingerprint sensor and camera and well-defined button covers round out a good case. 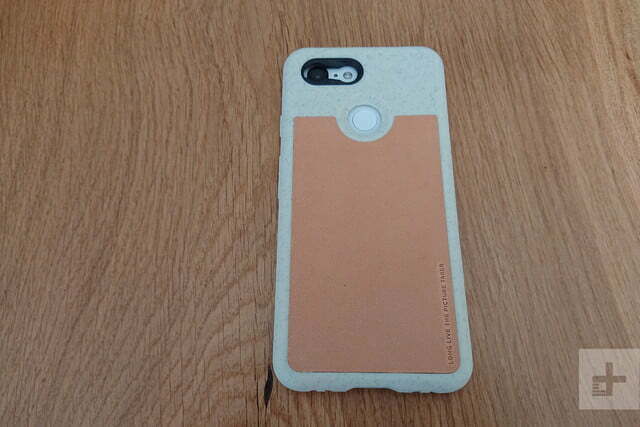 For people who hate thick cases and prominent branding, the Totallee Thin case could be ideal. It’s extremely thin at 0.02 inches thick, it’s so light you’ll barely feel it, and it has no logos or garish patterns. The matte black version is pictured, but it also comes in frosted clear and glossy clear varieties. 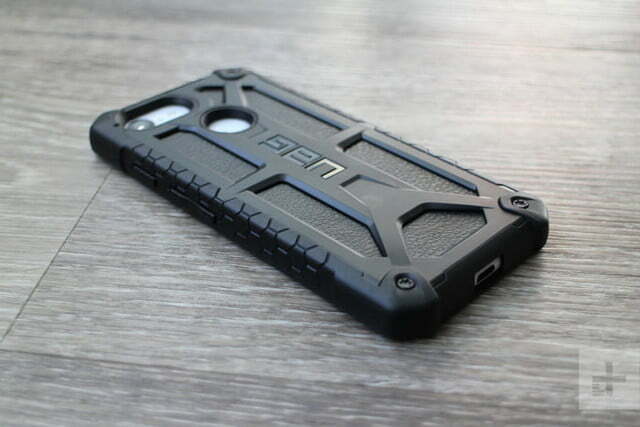 You can’t expect solid drop protection from a case this slight, but it will guard against scratches and minor bumps. This crystal-clear case from Ringke is very affordable, but still offers reasonable protection, with a hard, transparent polycarbonate back panel and a flexible, clear TPU bumper. The corners are reinforced for impact protection, and there’s a lanyard hole for anyone who wants to attach a strap. You’ll find accurate cutouts and thin button covers offering easy access to everything. You can also pick up this case with a smoke black translucent bumper. You may like the eye-catching, ridged look of this Single Fit Label Series case from VRS Design. It’s like a small, tough suitcase designed to envelop your Pixel 3 and guard it against drop damage or scratches. It features raised edges around the screen, tactile button covers, and beveled openings for the fingerprint sensor and camera. You can pick it up in white or black and each case features a burst of color in the red/orange label tag.